Hide this Project (Kalpataru Harmony) Discover properties in other projects by hiding the ones that doesn't interest you. You won't see them in your searches further but you can unhide anytime later. Hide this Dealer (Dream Sure Realtors)Discover properties by other dealers by hiding those whom you have already spoken to. You won't see them in your searches further but you can unhide anytime later. Hide this Dealer (Adarsh Home)Discover properties by other dealers by hiding those whom you have already spoken to. You won't see them in your searches further but you can unhide anytime later. Hide this Dealer (HECTARE PRIME CONSULTANCY)Discover properties by other dealers by hiding those whom you have already spoken to. You won't see them in your searches further but you can unhide anytime later. Hide this Dealer (JDTS Group)Discover properties by other dealers by hiding those whom you have already spoken to. You won't see them in your searches further but you can unhide anytime later. Hide this Dealer (The Pinnacle Properties)Discover properties by other dealers by hiding those whom you have already spoken to. You won't see them in your searches further but you can unhide anytime later. Kalpataru Harmony, located in Pune, is a joint residential development of Kalpataru and Waghere Promoters. It offers spacious and skillfully designed 2BHK and 3BHK apartments. The project is well equipped with all the basic amenities to facilitate the needs of the residents. The site is in close proximity to various civic utilities. Where is Kalpataru Harmony located? The project is located in Kaspate Vasti, Pune. What are sizes of apartments in Kalpataru Harmony? The apartment sizes in the project range from 882.0 sqft to 1188.0 sqft. What is size of 2 bhk in Kalpataru Harmony? 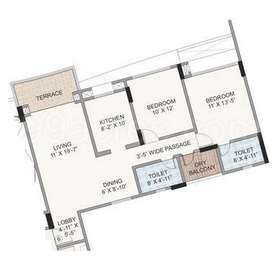 The area of 2 BHK apartments is 882.0 sqft. What is total area of 3 bhk in Kalpataru Harmony? 3 BHK units in the project are available in a size of 926.0 sqft to 1188.0 sqft. What is total size of Kalpataru Harmony?The project is built over an area of 8.0 Acres. What is the 2 bedroom price in Kalpataru Harmony? 2 BHK units in the project are available at a price tag of Rs. 7700000 to Rs. 9000000. I am looking for a ready to move apartment in Wakad within 1 cr budget. Would Kalpataru Harmony be a good option in terms of living and investment? Hi, situated at Wakad in Pune, Kalpataru harmony is located in proximity to the Hinjewadi IT Park in addition to other important parts of Pune through the Pune-Mumbai Expressway. Also, it enjoys good connectivity to various locations through the Nashik Phata-Wakad, Aundh-Ravet and Dehu Alandi-Kalewadi Phata roads. About residing here, the project comes with a premium clubhouse equipped with all necessary facilities along with gymnasium, swimming pools and a spa for the residents. It also has multipurpose room, reflexology path, star gazing deck, rainwater harvesting, intercom facilities, 24 hour security services, jogging track, indoor game facilities, amphitheatre, gazebos, fire fighting system, video door phone facilities, sewage treatment plant, water cascades, senior citizen corner, innovative sewage water recycling plant and a beautiful lily pond. Considering this, Kalpataru is a project to consider on priority in Wakad. What are the social amenities easily accessible from Kalpataru harmony? Hi Dhara, The project is located in Wakad and has access to all civic utilities like market, malls, schools, hospitals, banks, etc. 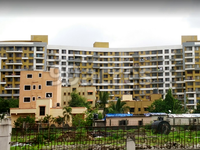 It is one of the most preferred location for those working in Hinjewadi IT Park.